2. The lesson is given in fluent English and highly recommended to those who have never skied / snowboarded. Daemyung Vivaldi Resort product prepared for customers who like snow sleds and other fun snow activities, such as ski / snowboard. Ski wear, equipment, and lift tickets are all included that you can go skiing / snowboarding comfortably. 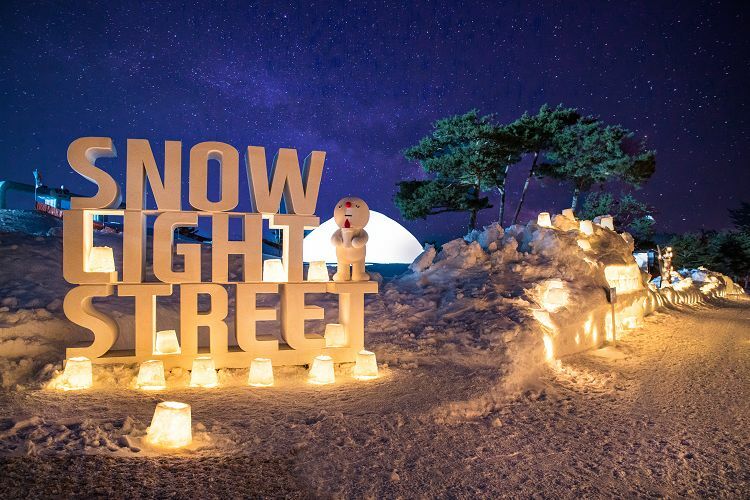 Filled with a variety of amenities and food, Vivaldi Resort is the perfect place to enjoy snow in Korea! We highly recommend riding on the gondola to those who want to see snow-covered mountains in Korea! Daemyung Vivaldi Resort was selected for the best ski resort by Korean for the 7 years in a row! 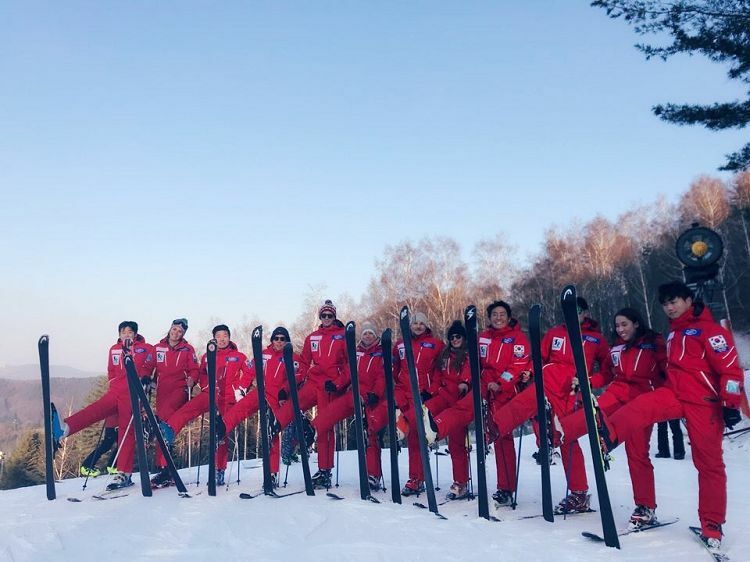 Only an hour and a half minutes away from Seoul, the resort has lots of ski-loving visitors every Winter. Not only ski slopes for all levels but also various amenities present visitors a perfect ski resort. ※ If you don’t see any staff from J SKI, please search for the bus placed 100m radius away from the subway exit! 1. In case of bad weather (strong winds), Gondola & SnowyLand Lift are not operated. If those do not operate even after 13:00, the product will be automatically cancelled. 2. Recommend using Gondola ticket before 16:00. 3. Operation hours of SnowyLand are from 09:00 to 17:00; but, please take a Return Lift around 16:30. 4. Gondola ticket is the one-time-only round ticket. 5. Re-entry is not allowed for SnowyLand. 6. Children must be above 4 to ride the SnowyLand attractions. 2. You cannot change the option (ski ↔ snowboard) on-site. 3. 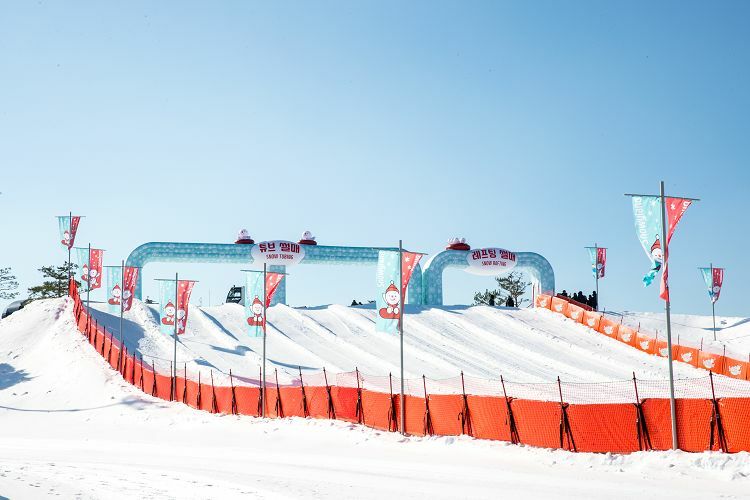 You can access the slope when you have Lift pass. 5. Lessons are given in English only. 6. Children under the age of 10 must be accompanied by a guardian. 7. In case of Intermediate Lesson, there are only ski lessons, but no board lessons. 8. Intermediate lesson instructor can change the level of the course from intermediate to basic lesson. No partial refund is available, so please select the option carefully.